“My Back Pages” is Dylan’s farewell to his earliest days as a “protest singer,” to those folky ways and sandal days. The definitive performance of the song, the one that ignites it and brings it to its full potential was recorded live in 1992 at Madison Square Garden in New York. 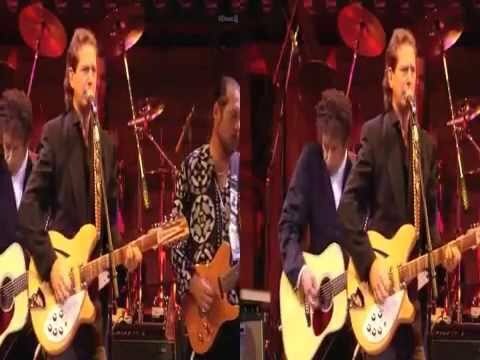 It was released in 1993 on the 30th Anniversary Concert Celebration for Dylan that celebrated his career (which assumedly will go on till he can’t perform any longer). It features Tom Petty, Dylan, Neil Young, Eric Clapton, Byrds founder Roger McGuinn and George Harrison. "My Back Pages" is one of SongMango's hand-selected DNA Source Songs. Read more here. Help our online community grow! The latest installment of the DylanTest challenges your ear and your eye – not to mention your longterm memory.